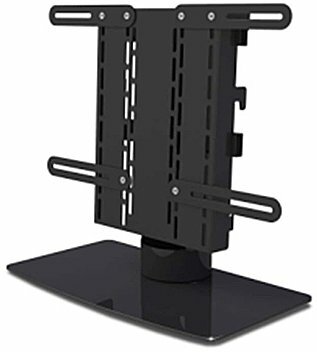 For a replacement or simply stronger and more stylish table stand for your TV, look no further than the WMTD4. Most TVs these days are supplied with a table top stand in the box, however these can often get misplaced or broken and in some cases don't actually feel up to the job. The WMTD4 is a high quality table top stand with a universal fitting method for between 21" and 32" TVs. 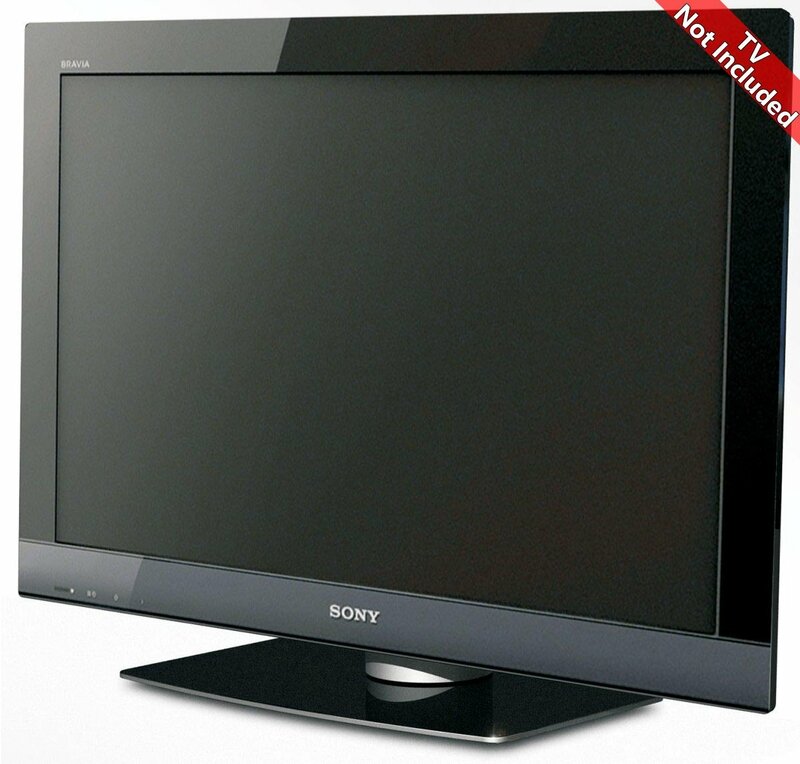 With a weight loading rated at 35Kg you can be sure there'll be no wobble or sag no matter what size of TV you choose. 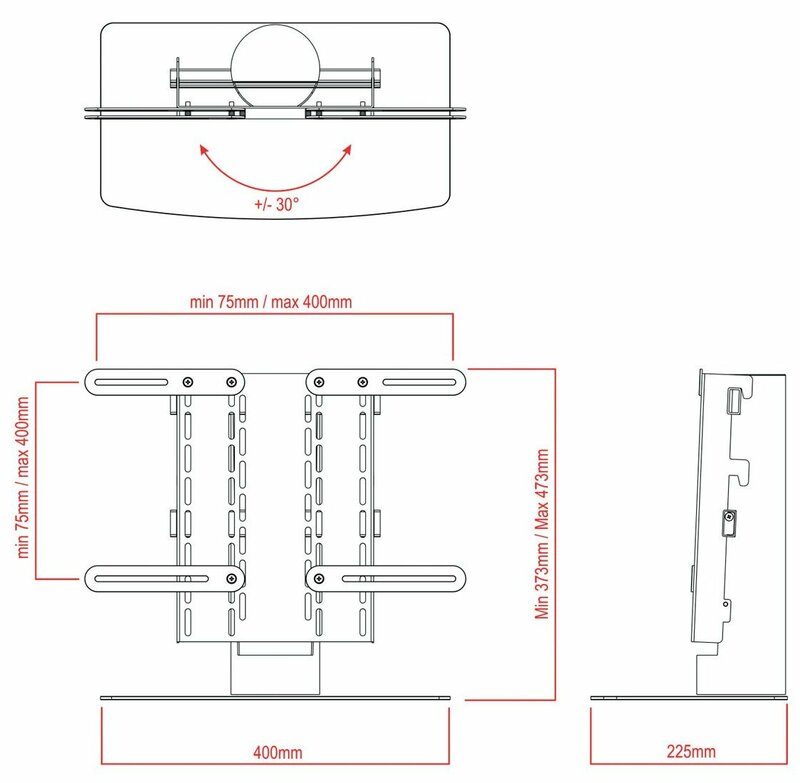 The stand rotates through 30 degrees using a tensioned polymer friction bush giving freedom of movement along with secure positioning. For TVs between 21" and 32"
Our Samsung TV requires M8 bolts - these are too thick for the holes in the frame therefore we had to file away part of the frame to allow the bolts to fit through. Very sturdy, if a tad heavy. Not especially quick to assemble, although not tricky. Will this fit a LG32LX2R-ZE TV?